7 Super Nutritious Gluten-Free Grains to add to your diet. In honor of Celiac Awareness Month AND Mediterranean Diet Month, I created this infographic to share my favorite Super Seven Gluten-Free Grains and Grain Alternatives. Whether you follow a gluten-free diet or not, I hope this infographic, plus the recipe recommendations I share below, will inspire you to get cooking with some of these delicious and nutritious gluten-free grains and grain alternatives! 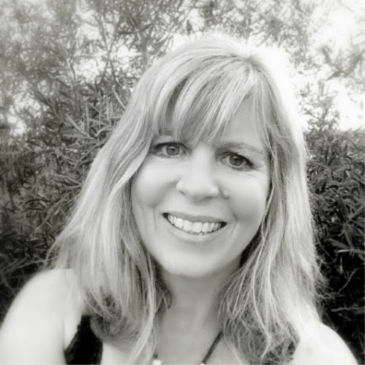 Huge thanks to celiac expert and registered dietitian, Melinda Dennis, for the fabulous information she shared at the 2014 Gluten-Free Wellness Retreat in San Diego highlighting these gluten-free nutrition superstars! 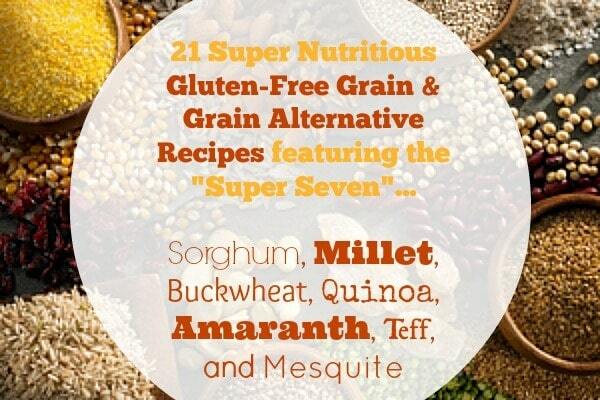 Which of these Super 7 gluten-free grains and grain alternatives do you regularly cook with? Are any of these new to you? If so, which one’s would you most like to try? Do you have any favorite gluten-free recipes featuring one or more of these gluten-free grains to share? If so, leave me the link to your recipe in the comment section, and I will add the recipe to one of my Pinterest Boards! I am wondering about the mesquite flour. Can you give me more information about that…i.e. what kind of mesquite tree, if there are different varieties, how it is processed, where do you get it? I just need more information. Thank you very much. Hi Tracy! Thanks for your comment regarding the mesquite flour. There are a few different brands, but the only one I’ve seen carried in my local health food stores is the Sunfood brand, and they have both a regular and a “sweet” version although the nutrition facts are pretty similar between both. I don’t know where you live, but I can find Sunfood in Whole Foods and Jimbos in San Diego, plus you can order their products on line too. Hope this helps! This is great! I’m def pinning this so I can refer back to this. I’ve actually never tried teff and mesquite but am inspired to incorporate them into my diet. Thank you for the inspiration! Thanks so much Min!I really love teff in baked goods, and I hoping to try injera soon! you really outdid yourself with this girl, of course you do with every post 🙂 kudos! Great information EA and love the infographic! Thanks so much Jeanette and I really appreciate you sharing the infographic! Quinoa and I have a long running love affair, but I’ve been eager to give amaranth a try! Thanks for the list here… I’m inspired to try something new! I have been having that same love affair with quinoa too Kim 🙂 But, yes, definitely fun to shake things up a bit in the gluten-free world, and happy to inspire! Great info! There are so many gluten-free grains I need to explore!